A few days ago I mentioned that I was in contact with a 7th grade history teacher in Boston, who wanted to introduce the subject of black Confederates as part of a unit on the Civil War. Well, today the instructor reported back with a detailed overview of the lesson. I think it’s a wonderful example of how this subject, along with the related issue of media literacy, can be introduced at the middle school level. A number of school districts in Virginia have had difficulty addressing the recent scandal involving the 4th grade history textbook that included false claims about the service of slaves in the Confederate army. This need not be the case. In fact, it’s a golden opportunity to address some of the fundamental misconceptions of the war as well as the veracity of the sources of these claims. Here is an example of a teacher making a difference. During the flag project, Heather sent a representative of the Sons of Confederate Veterans an email asking for his perspective on the Confederate flag. In Mr. Barrow’s response, he mentioned that one way to show that the flag is not necessarily a symbol of slavery is to consider that Blacks actually fought for the Confederacy; if this was the case, he reasoned, how could the cause of the South been to preserve slavery? This presents an interesting opportunity. Let’s figure out if he is correct in his statement that large numbers of Blacks fought for (not against) the South. Your homework, then, is to conduct about a half an hour of research into the topic of Blacks fighting for the South. 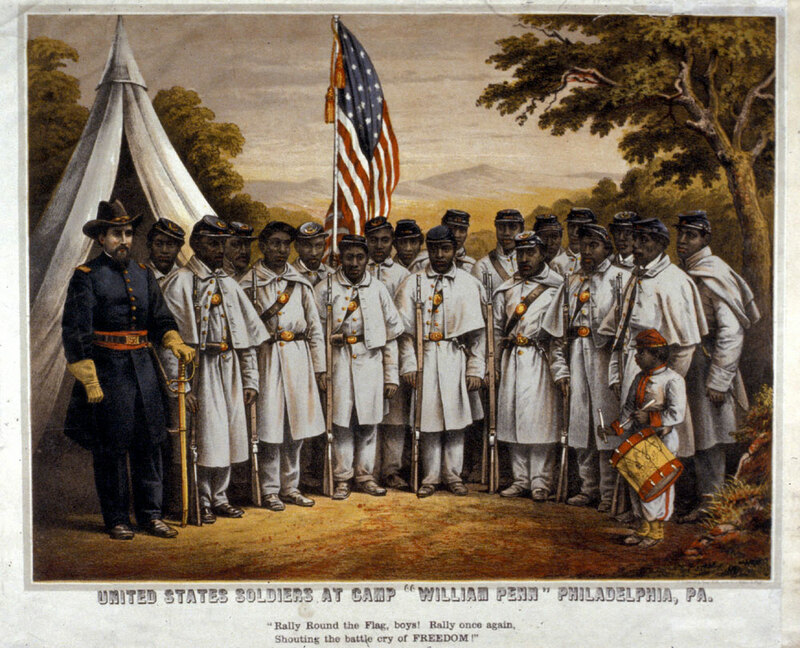 –when they were part of the Confederate army– for the whole war? for part of the war? when, exactly? –other details that would help a newcomer to this topic feel better informed. 2) Keep track of your sources. For each source you find, evaluate its reliability through whatever means you think is appropriate. –does it seem to have a bias? –are there links to other sites? If so, can you make any observation about those links? –any other clues that would help you evaluate the reliability of the site? 2) In class on Friday, I began by showing what I found when I did a google image search for “Black Confederates.” One of the photos that pops up is the one misidentified as “1st Louisiana Native Guard.” I printed out copies of the photos scrutinized in the UVA study, put kids in groups, and had them play detective to identify all the similarities and differences they could; this took a while. After we talked about their observations, we moved on to interpretation, discussing what the story could be behind these photos; most theories involved the “Louisiana” photo being the real one (probably due to the fact that it is “dated” 1861), and the later versions being forgeries or, alternatively, proof that the soldiers had defected to the North later in the war. I then walked through the real story, as uncovered by that study; the impact was clear. 3) For homework that night, I asked kids to write a paragraph about what they thought the point of the class was. Most “got” it. I also asked them whether what they had learned in class cast any doubt on the validity of their research into the question of Black Confederates; most indicated that this was the case. Then I showed them the Petersburg Express web page, picking it apart per your guidance in your video. Finally, I showed the first five minutes of Levine’s talk and then presented some quick facts to summarize my understanding of the topic. 5) A follow-up question on the quiz tomorrow asks them to imagine that they go back to the mock Supreme Court hearing that kicked off this whole thing. They are to imagine that the student who wore a Confederate Flag to school were to again argue that the flag is a symbol of Southern heritage– distinct from any sort of association with slavery–and that as proof of that statement, large numbers of Blacks fought for the Confederacy. How would they now respond to that argument? In an age of “teacher bashing” it is always wonderful to see what great teachers are doing! This is off topic of you interesting blog, but last night the Des Moines Civil War Round Table had a presentation by Professor William Thomas, UNL on his new book about railroads in the Civil War period–it was excellent. After the meeting we were discussing blogs and I mention I followed Civil War Memory and then was informed you had been a student of Professor Thomas. It is a small world. Ron Nurmi Des Moines Civil War Round Table. I took a summer seminar with Professor Thomas back in 2001 at the University of Virginia. It was co-taught with Gary Gallagher. Will is a great guy and I have no doubt he gave an excellent talk or your CWRT. Excellent post. That Boston teacher is doing great work. History used to teach critical thinking skills? Awesome!